There are several famous shrines in Tokyo. 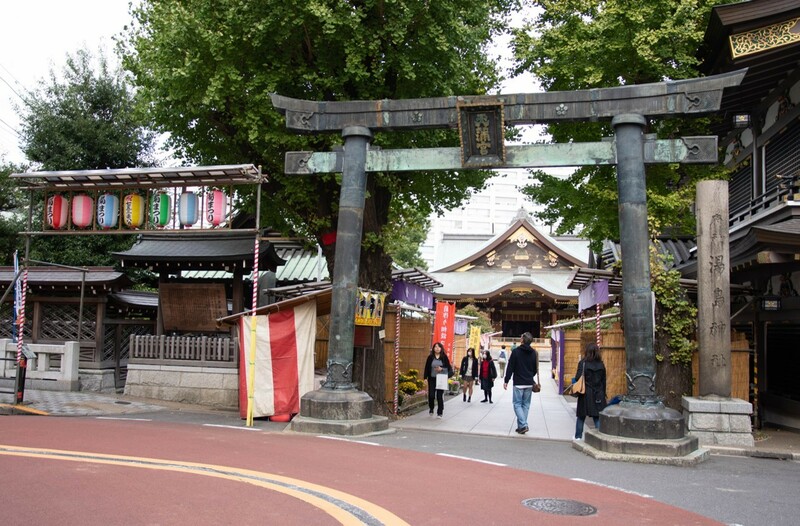 Among them, Yushima Tenman-gu Shrine (Yushima Shrine, Yushima Tenjin) which is said to have academic gods is a precious shrine that is loved by local. 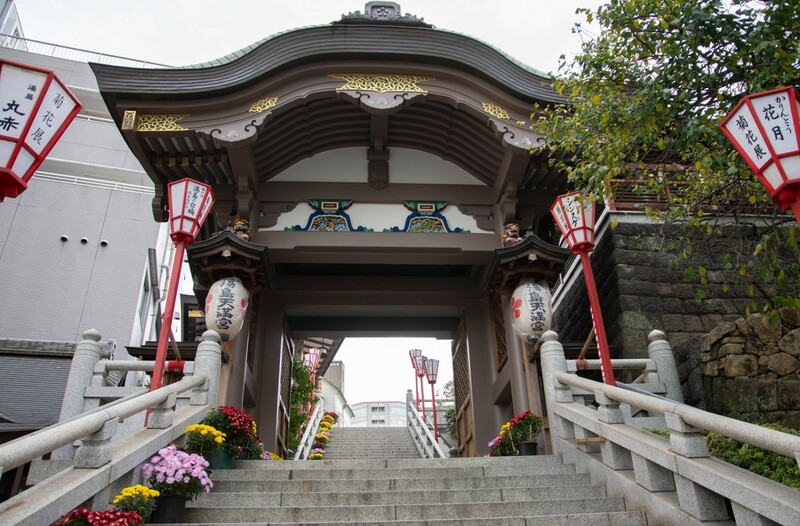 The shrine is easy to be accessed from Ueno, therefore many tourist visit here throughout the year. Today, we are going to introduce you about the history and culture of Yushima Tenman-gu, festival, as well as access information! The shrine is said to be built in year 458, with the long history. During Edo period, it was also drawn on an Ukiyo-e(a genre of Japanese art) by a famous painter, Utagawa Hiroshige. The famous characteristic of Yushima Tenman-gu is that the shrine enshrines the Japanese great man, Sugawara no Michizane, who has brilliant skill as a scholar and politician. Sugawara no Michizane is worshiped as "god of scholar" in Japan. 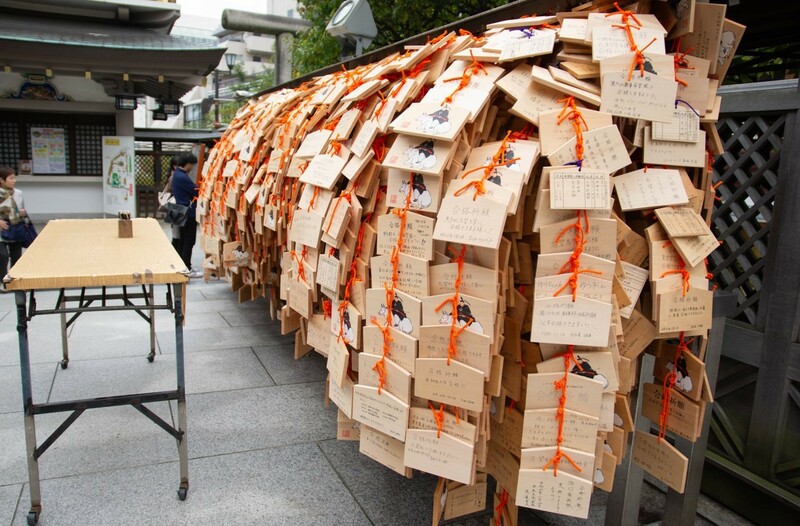 Therefore, there are a lot of people who wish to pass the exam and qualification exam visit here, and the shrine is always full with Ema (votive picture) with wishes written on it. A famous spot of "Yushima Tenman-gu"
Yushima Tenman-gu is located on a slope. 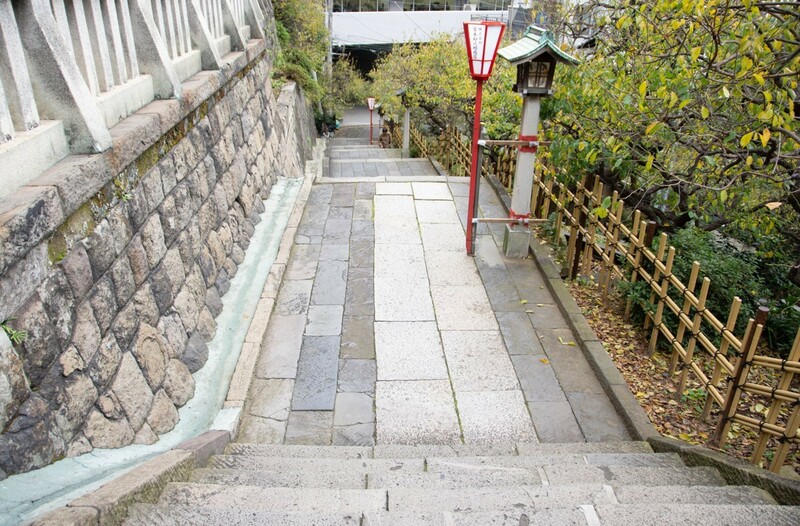 There are two slope on the paths from Yushima station to Yushima Tenman-gu and are called as "Otokozaka"(Man’s slope) and "On’nazaka"(Woman’s slope). You can take either way to get to Yushima Tenman-gu, but the angle of the slope are difference. 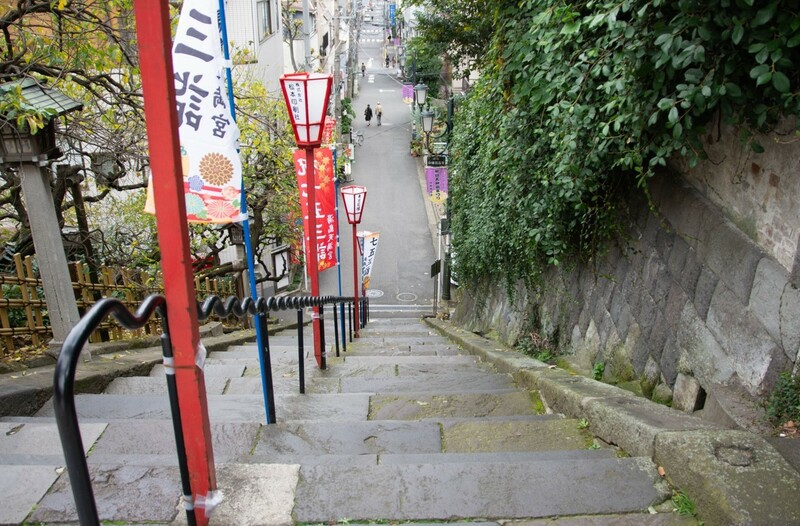 “Otokozaka” has the slope with the total of 38 stone steps which is very steep. On the other hand, “On’nazaka” has the slop with total 33 stone steps which is not so steep. 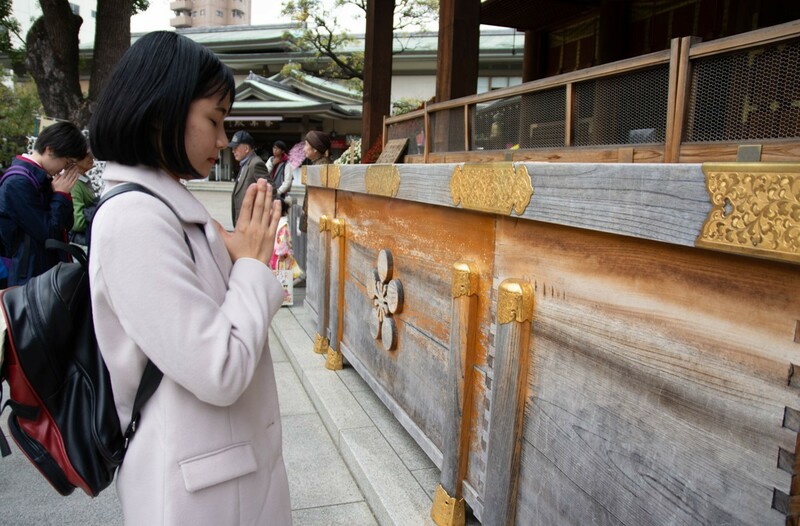 Besides, there are some scattered attraction spots, such as "Nadeushi" which is said that it will bring good changes when you touch your deceased body part to the statue, "Ki’enhyojinseki" which used as a guide for lost child. 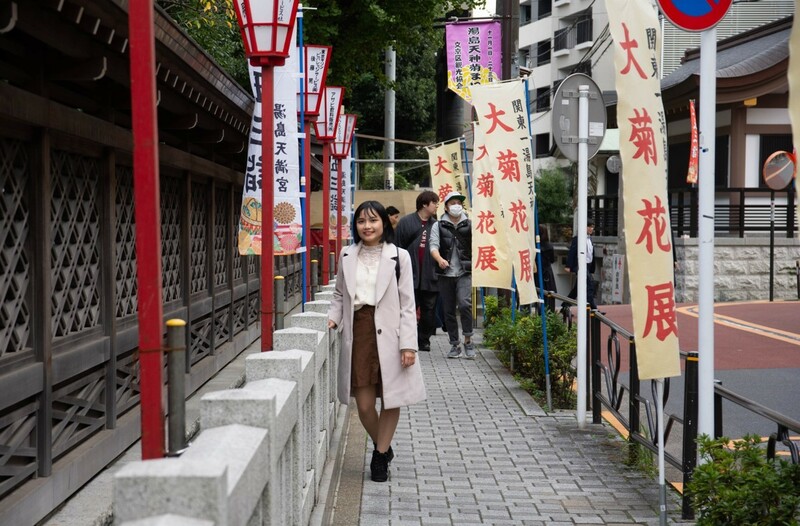 The surroundings of Yushima Tenman-gu also has a pleasant feeling, and is good for you to even just walk around and feel the nice atmosphere here. 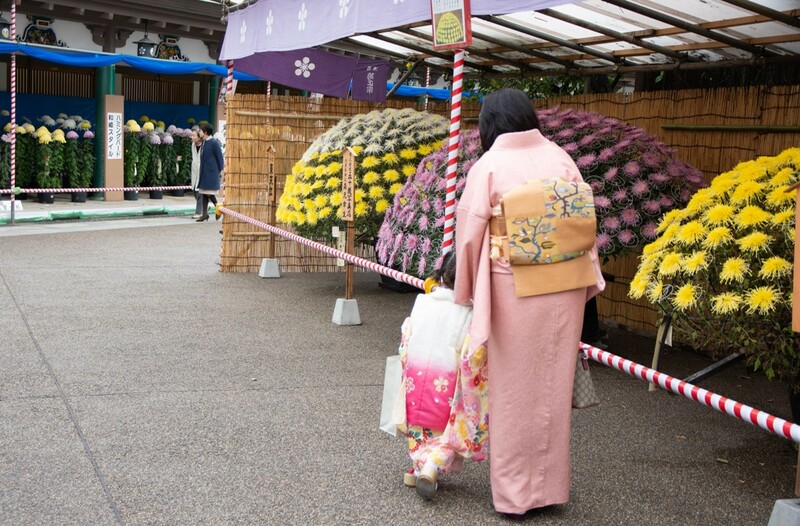 If mention about Yushima Tenman-gu, you definitely cannot miss "Yushima Tenjin Kiku Matsuri"
In November every year, "Yushima Tenjin Kiku Matsuri" is held at Yushima Tenman-gu. 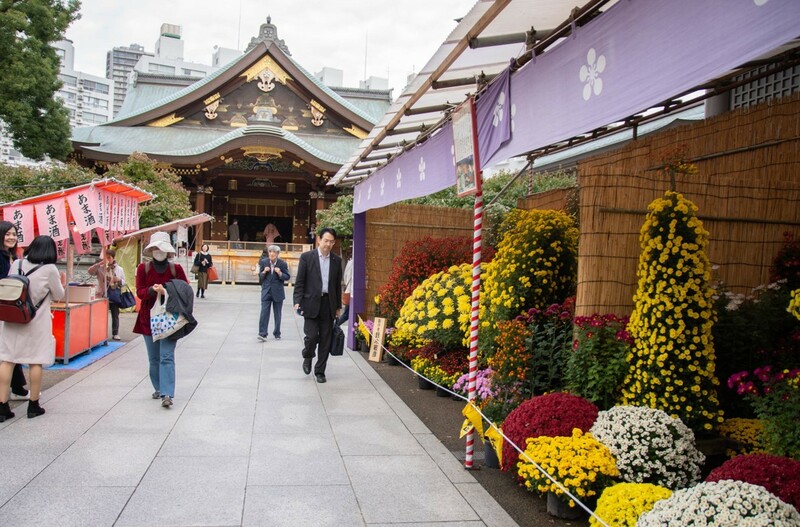 Chrysanthemums which is symbol flower in autumn are decorated everywhere in the shrine. The masterpiece of the festival is “Kengai”, the chrysanthemum flower bed which made to hang down from the cliff. 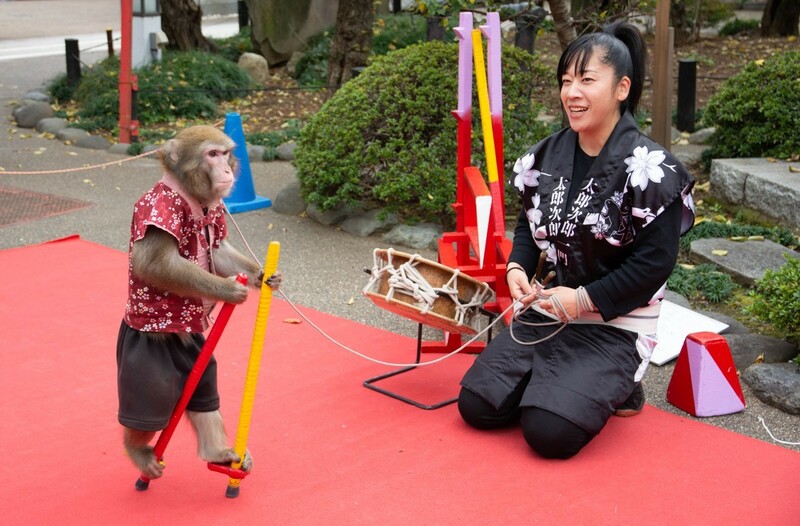 During the festival season, you can also see the monkey's acrobatics. 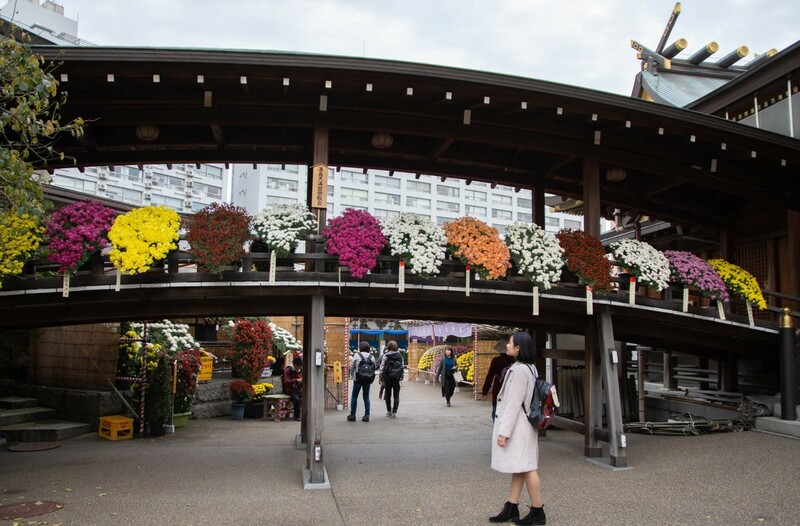 If you are in Japan this period, please come here to enjoy the colorful blooming chrysanthemums and also enjoy the Japanese festive atmosphere!